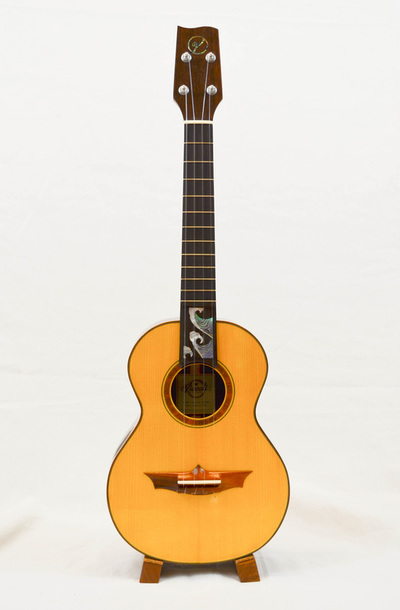 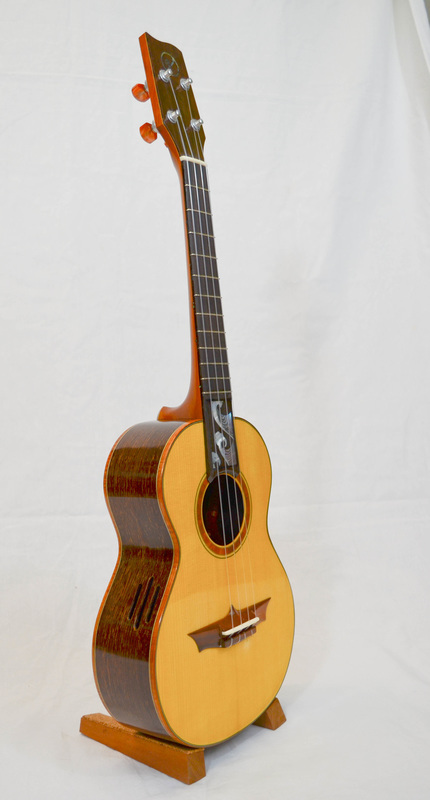 A classic tight-waisted tenor ukulele shape, this Viacali features a sinker adirondack spruce top and wenge back and sides for clear, crisp, and rich tone. 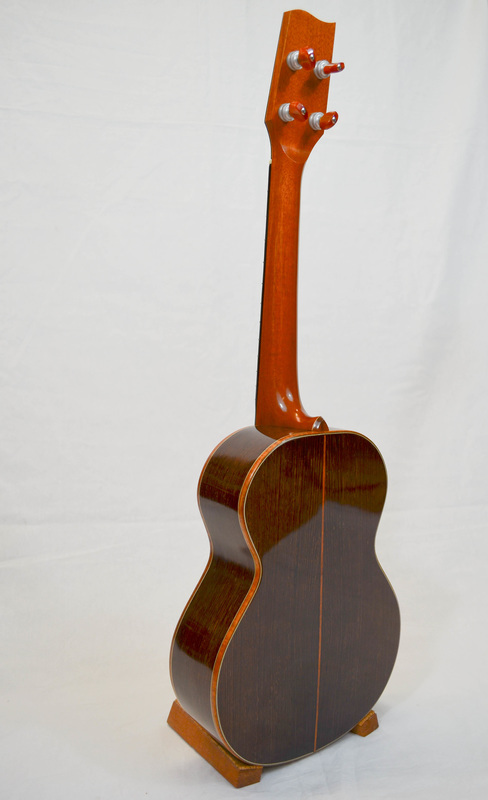 An optional soundport on the lower bout opens up the sound for both the player and the listener. 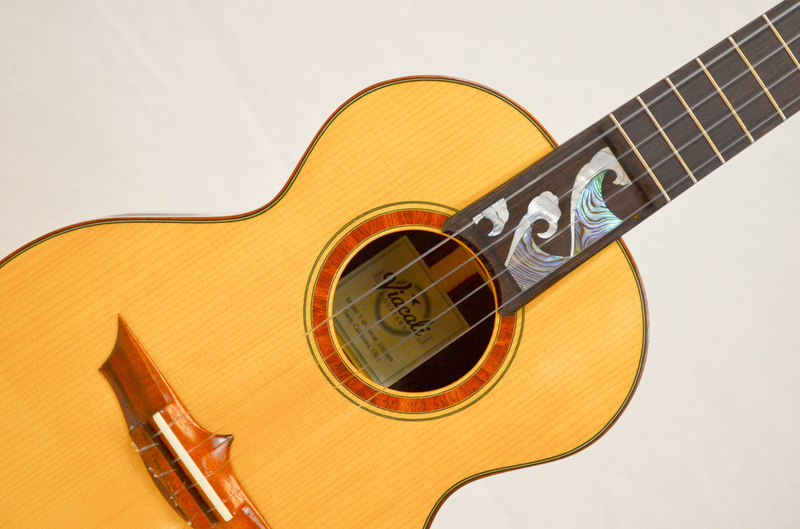 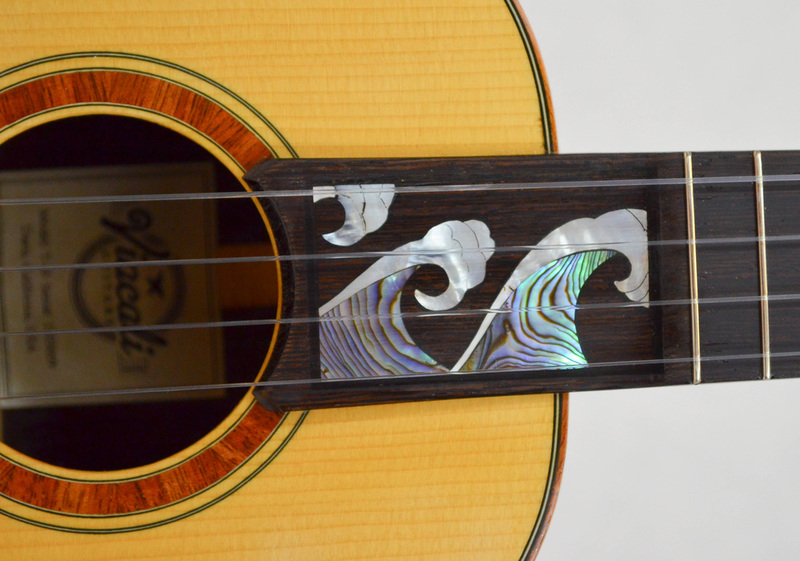 Trimmed in koa and showcasing the "crashing waves" inlay at the end of the fingerboard, this ukulele is proud of its Hawaiian origins.